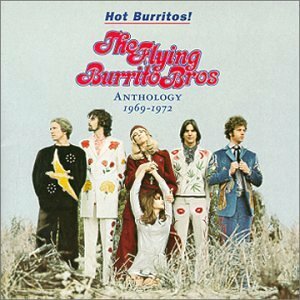 The Flying Burrito Brothers are best known for their massively influential debut album, 1969's The Gilded Palace of Sin. 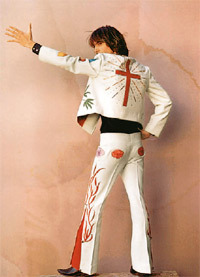 Although the group is most often thought of in connection with music legend Gram Parsons, in fact it endured myriad personnel changes through a series of break-ups and resurrections (sometimes due to Parsons' tendency to switch from band to band and project to project with no notice). 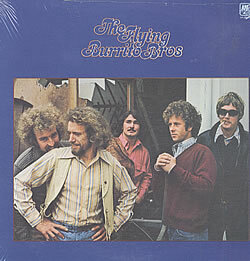 Meanwhile, on the West Coast, Parsons and Chris Hillman thought the name would be perfectly suited for the country-oriented rock band they had been dreaming of since early 1968, when they had hijacked Roger McGuinn's chart-topping rock band The Byrds to produce the first country-oriented rock album, Sweetheart of the Rodeo. 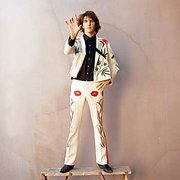 They immersed themselves in their vision in their house in the San Fernando Valley, dubbed "Burrito Manor", even replacing their wardrobe with a set of custom country-Western suits from tailor to the C&W stars, Nudie's Rodeo Tailors (Parsons's had marijuana leaf embroidery) and began a period of intensely fruitful creativity. 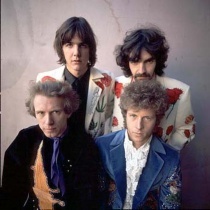 Their first album The Gilded Palace of Sin (1968) did not sell terribly well, being a radical departure from anything most of the record-buying public (either rock or country) had ever seen, but the group had a cult following which included several famous musicians, such as Bob Dylan and The Rolling Stones. 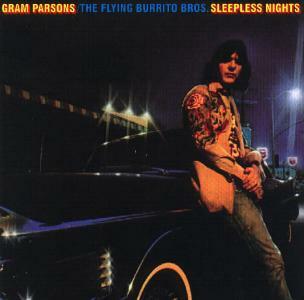 Parsons soon became friends with Keith Richards of the Rolling Stones and left the group after 1970s Burrito Deluxe, which also saw the departure of Ethridge and addition of Bernie Leadon and Michael Clarke (of The Byrds). 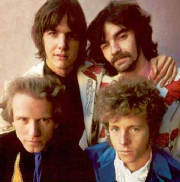 Rick Roberts replaced Parsons and released a self-titled album with the group in 1971. 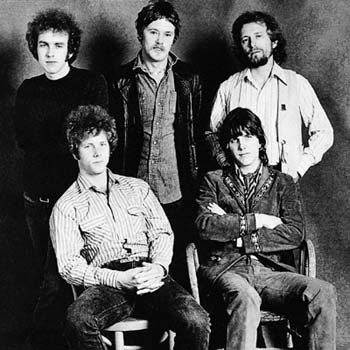 Kleinow then left to become a session musician and Leadon joined Eagles. 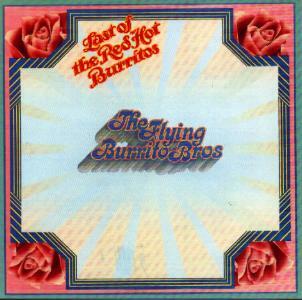 Al Perkins and Roger Bush replaced them, and Kenny Wertz and Byron Berline joined as well, releasing The Last of the Red Hot Burritos (1972), a live album. 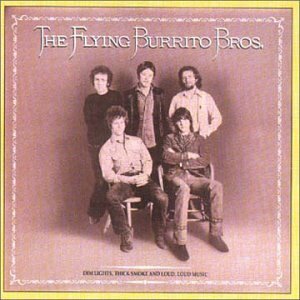 The band fell apart. 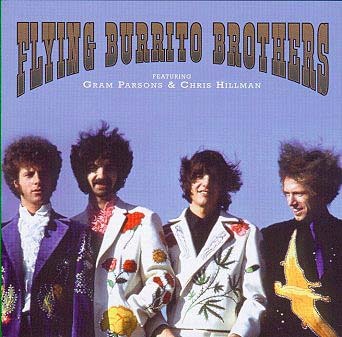 Hillman and Perkins joined Manassas, while Berline, Bush and Wertz formed Country Gazette. 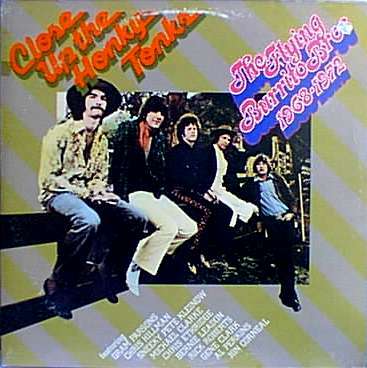 Roberts reassembled a new group for a 1973 European tour, and then began a solo career before forming Firefall with Michael Clarke.